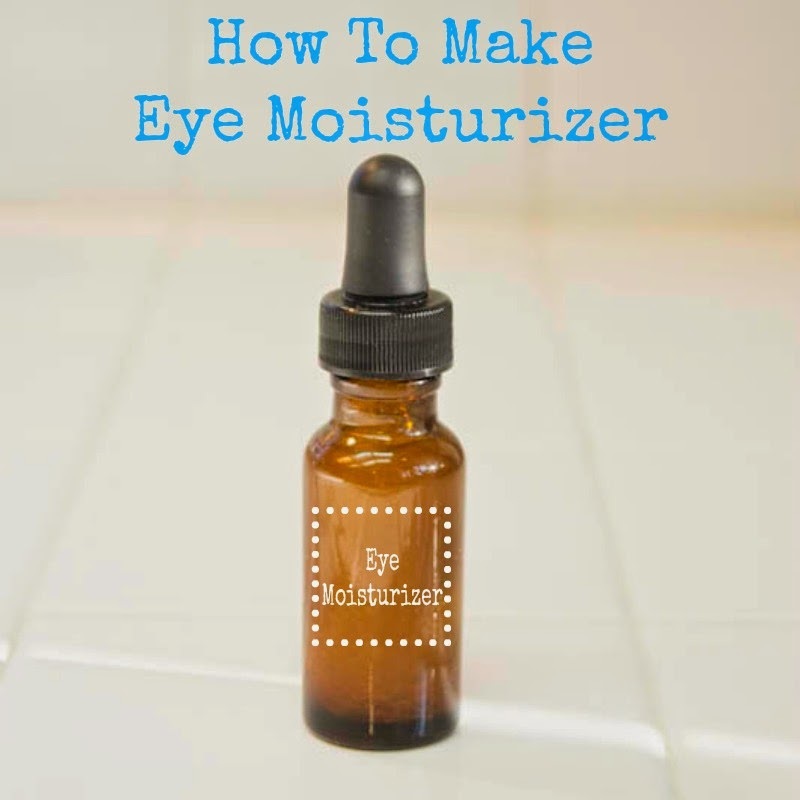 Today I'm showing you how to make Eye Moisturizer. I ran out of eye cream, (ugh!) 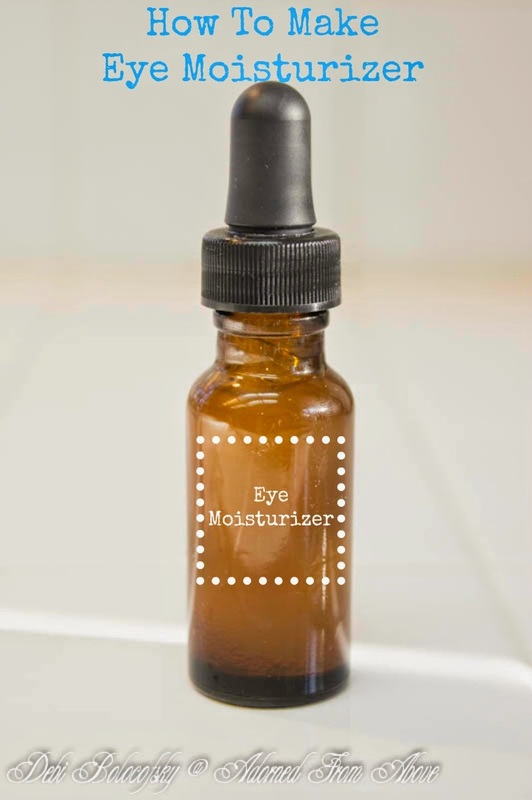 and decided to make an eye moisturizer (yeah!). It uses some pretty simple ingredients; jojoba oil, rosehip oil, vitamin E, aloe vera gel, DMAE, and carrot seed essential oil. You can buy all of these items at a store like Whole Foods or Sprouts. You can even get them online through Rose Mountain Herbs. I'm using jojoba oil as a carrier oil, since it is easily absorbed into your skin. Rosehip is a great oil with anti-aging benefits. It penetrates to the lower layers of skin to help increase collagen production. Rosehip oil also helps fade age spots, restores elastacity, and is high in retinoic acid which helps brighten and firm the skin. Aloe Vera Gel is great for hydrating your skin, and is great for sensitive skin around the eye. Carrot Seed Essential Oil - is great for revitalizing and toning skin and is considered one of the best essential oils for mature skin. Carrot Seed also assists in removing toxins and water build up in the skin giving it a fresher more firmer appearance. Which is great for puffiness around your eyes. DMAE is ideal to help firm and tone throat and facial skin for a more supple look. Whisk all of the ingredients together, and pour into the amber dropper bottle. To use put a drop on your finger and pat it around your eyes. Let soak into your skin for a minute then add your makeup as normal. You can also use this with my Firming Eye Serum. Put the Firming Eye Serum on first and after that has dried add the eye moisturizer. Have a great day. If you have any questions, please feel free to contact me. DMAE is produced naturally by the brain, and is also found in fish. It has anti inflammatory properties which helps improve skin firmness and muscle tone. It comes in a liquid form and works great in moisturizers and is great for wrinkles. There is a link to the firming eye serum, which also helps with dark circles. The two are great together.